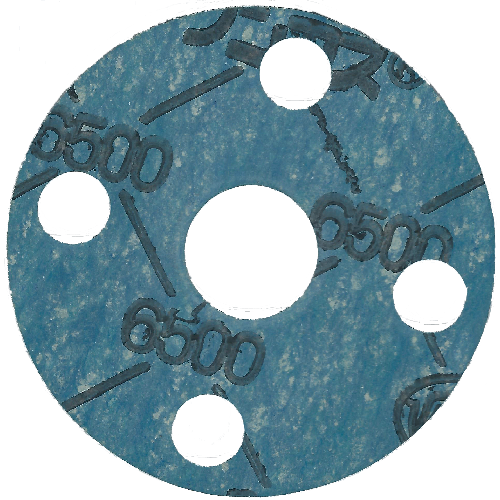 2045 INFLATE Seal This hollow gasket is created from cloth-reinforced rubber, or from a single piece of rubber. It is sealed by supplying air or the like to the hollow portion, causing it to expand. It is used for sealing vacuum vessels, airtight doors, etc. 2060 Synthetic Rubber Packing Synthetic rubber molded into specified shape and size. Used as seal and equipment parts. 2060 Synthetic Rubber Packing Side U-A・B Shape This product is molded from synthetic rubber into specified shapes. It is used as various seals and machinery parts. 2060-CPC Cushion Packing This product is molded from synthetic rubber into specified shapes. It is used as various seals and machinery parts. 2060-CPF Cushion Packing This product is molded from synthetic rubber into specified shapes. It is used as various seals and machinery parts. (EPDM) Synthetic Rubber Packing (For Pistons) Custom-Made This product is formed by molding synthetic rubber into a ring shape with a U, J, and L-shaped cross section. It allows for rubber compounding that matches the usage temperature or fluid. It is used as a seal for various types of hydraulic/pneumatic machinery such as cylinders, presses, jacks, and electromagnetic valves. (EPDM) Synthetic Rubber Packing (For Rods) Custom-Made This product is formed by molding synthetic rubber into a ring shape with a U, J, and L-shaped cross section. It allows for rubber compounding that matches the usage temperature or fluid. It is used as a seal for various types of hydraulic/pneumatic machinery such as cylinders, presses, jacks, and electromagnetic valves. (HNBR) Synthetic Rubber Packing (For Pistons) Custom-Made This product is formed by molding synthetic rubber into a ring shape with a U, J, and L-shaped cross section. It allows for rubber compounding that matches the usage temperature or fluid. It is used as a seal for various types of hydraulic/pneumatic machinery such as cylinders, presses, jacks, and electromagnetic valves. (HNBR) Synthetic Rubber Packing (For Rods) Custom-Made This product is formed by molding synthetic rubber into a ring shape with a U, J, and L-shaped cross section. It allows for rubber compounding that matches the usage temperature or fluid. It is used as a seal for various types of hydraulic/pneumatic machinery such as cylinders, presses, jacks, and electromagnetic valves. (NBR) Synthetic Rubber Packing (For Pistons) Custom-Made This product is formed by molding synthetic rubber into a ring shape with a U, J, and L-shaped cross section. It allows for rubber compounding that matches the usage temperature or fluid. It is used as a seal for various types of hydraulic/pneumatic machinery such as cylinders, presses, jacks, and electromagnetic valves. (NBR) Synthetic Rubber Packing (For Rods) Custom-Made This product is formed by molding synthetic rubber into a ring shape with a U, J, and L-shaped cross section. It allows for rubber compounding that matches the usage temperature or fluid. It is used as a seal for various types of hydraulic/pneumatic machinery such as cylinders, presses, jacks, and electromagnetic valves. 2060-DHS Dust Seal This product is formed by molding nitrile rubber into a sealing lip shape with both a duster lip and oil lip. This packing is used for various types of hydraulic machinery operating from -20 to 80°C. It is especially suitable for locations requiring high-pressure and abrasion-resistant properties. (NBR) Dust Seal Molded Packing Custom-Made This product is formed by molding nitrile rubber into a sealing lip shape with a duster lip only. This packing is used for various types of hydraulic machinery operating from -30 to 80°C. It is especially suitable for locations requiring high-pressure and abrasion-resistant properties. (NBR) Dust Seal Molded Packing Custom-Made This product is formed by molding nitrile rubber into a sealing lip shape with both a duster lip and oil lip, and attaching metal parts. This packing is used for various types of hydraulic machinery operating from -20 to 80°C. It is especially suitable for locations requiring high-pressure and abrasion-resistant properties. (NBR) Dust Seal Molded Packing Custom-Made This product is formed by molding nitrile rubber into a sealing lip shape with a duster lip only, and attaching metal parts. This packing is used for various types of hydraulic machinery operating from -30 to 80°C. It is especially suitable for locations requiring high-pressure and abrasion-resistant properties. 2060-LIP Synthetic Rubber Packing LIP This product is injection-molded from synthetic rubber into specified shapes. It is used as various seals and machinery parts. (EPDM) Synthetic Rubber Packing U-Packing Custom-Made This product is formed by molding synthetic rubber into a ring shape with a U, J, and L-shaped cross section. It allows for rubber compounding that matches the usage temperature or fluid. It is used as a seal for various types of hydraulic/pneumatic machinery such as cylinders, presses, jacks, and electromagnetic valves. (HNBR) Synthetic Rubber Packing U-Packing Custom-Made This product is formed by molding synthetic rubber into a ring shape with a U, J, and L-shaped cross section. It allows for rubber compounding that matches the usage temperature or fluid. It is used as a seal for various types of hydraulic/pneumatic machinery such as cylinders, presses, jacks, and electromagnetic valves. (NBR) Synthetic Rubber Packing U-Packing This product is formed by molding synthetic rubber into a ring shape with a U, J, and L-shaped cross section. It allows for rubber compounding that matches the usage temperature or fluid. It is used as a seal for various types of hydraulic/pneumatic machinery such as cylinders, presses, jacks, and electromagnetic valves. 2060-MPP Synthetic Rubber Packing U-Packing This product is formed by molding synthetic rubber into a ring shape with a U, J, and L-shaped cross section. It allows for rubber compounding that matches the usage temperature or fluid. It is used as a seal for various types of hydraulic/pneumatic machinery such as cylinders, presses, jacks, and electromagnetic valves. 2060-MPR Synthetic Rubber Packing U-Packing This product is formed by molding synthetic rubber into a ring shape with a U, J, and L-shaped cross section. It allows for rubber compounding that matches the usage temperature or fluid. It is used as a seal for various types of hydraulic/pneumatic machinery such as cylinders, presses, jacks, and electromagnetic valves. 2060-PSP One Ring Packing This product is molded from synthetic rubber into specified shapes. It is used as various seals and machinery parts. 2060-PUD One Ring Packing This product is molded from synthetic rubber into specified shapes. It is used as various seals and machinery parts. 2060-PWP One Ring Packing This product is molded from synthetic rubber into specified shapes. It is used as various seals and machinery parts. (HNBR) One Ring Packing Custom-Made This product is molded from synthetic rubber into specified shapes. It is used as various seals and machinery parts. (NBR) One Ring Packing Custom-Made This product is molded from synthetic rubber into specified shapes. It is used as various seals and machinery parts. 2060-SOD Synthetic Rubber Packing SOD Shape This product is molded from synthetic rubber into specified shapes. It is used as various seals and machinery parts. 2060-T Synthetic Rubber Packing (For Pistons) Custom-Made This product is formed by molding synthetic rubber into a ring shape with a U, J, and L-shaped cross section. It allows for rubber compounding that matches the usage temperature or fluid. It is used as a seal for various types of hydraulic/pneumatic machinery such as cylinders, presses, jacks, and electromagnetic valves. 2060-T Synthetic Rubber Packing (For Rods) Custom-Made This product is formed by molding synthetic rubber into a ring shape with a U, J, and L-shaped cross section. It allows for rubber compounding that matches the usage temperature or fluid. It is used as a seal for various types of hydraulic/pneumatic machinery such as cylinders, presses, jacks, and electromagnetic valves. 2060-UHS Synthetic Rubber Packing U-Packing This product is formed by molding synthetic rubber into a ring shape with a U, J, and L-shaped cross section. It allows for rubber compounding that matches the usage temperature or fluid. It is used as a seal for various types of hydraulic/pneumatic machinery such as cylinders, presses, jacks, and electromagnetic valves. (NBR) Synthetic Rubber Packing U-Packing Custom-Made This product is formed by molding synthetic rubber into a ring shape with a U, J, and L-shaped cross section. It allows for rubber compounding that matches the usage temperature or fluid. It is used as a seal for various types of hydraulic/pneumatic machinery such as cylinders, presses, jacks, and electromagnetic valves. 2060-UPP Synthetic Rubber Packing U-Packing This product is formed by molding synthetic rubber into a ring shape with a U-shaped cross section. It allows for rubber compounding that matches the usage temperature or fluid. It is used as a seal for various types of pneumatic machinery such as cylinders, presses, jacks, and electromagnetic valves. 2060-UPR Synthetic Rubber Packing U-Packing This product is formed by molding synthetic rubber into a ring shape with a U, J, and L-shaped cross section. It allows for rubber compounding that matches the usage temperature or fluid. It is used as a seal for various types of hydraulic/pneumatic machinery such as cylinders, presses, jacks, and electromagnetic valves. 20-E Tape Seal Unsintered PTFE tape Used as sealing tape for screw joint of metallic pipe, plastic pipe, and conduit handling various fluids. Handle with care for sealing flammable, explosive and hazardous gas. 2560-WSJ Willson Seal Custom-Made This product combines a synthetic rubber seal lip with a metal adapter spacer. It is used as a vacuum seal for rotating shafts with significant runout. 2560-WSK Willson Seal Custom-Made This product combines a synthetic rubber seal lip with a metal adapter spacer. It is used as a vacuum seal for rotating shafts with significant runout. 2560-WSP Willson Seal Custom-Made This product combines a synthetic rubber seal lip with a metal adapter spacer. It is used as a vacuum seal for rotating shafts with significant runout. 2560-WSV Willson Seal Custom-Made This product combines a synthetic rubber seal lip with a metal adapter spacer. It is used as a vacuum seal for rotating shafts with significant runout. 2630-VNF Cloth and Synthetic Rubber V-packing This product is created by pasting synthetic-rubber-lined cloths together, then molding them into a ring shape with a V-shaped cross section. It is mainly used as sealant for hydraulic/pneumatic machinery. 2630-VNV Cloth and Synthetic Rubber V-packing This product is created by pasting synthetic-rubber-lined cloths together, then molding them into a ring shape with a V-shaped cross section. It is mainly used as sealant for hydraulic/pneumatic machinery. 2631-VGH Synthetic Rubber V-packing This product is formed by molding synthetic rubber into a ring shape with a V-shaped cross section. It is mainly used as sealant for hydraulic/pneumatic machinery. 2632-MV MV-packing Composite seal combining No.2630 and special synthetic rubber molded into U-shaped cross section ring High-performance composite seal is suitable for sealing injection molding hydraulic cylinder, hydraulic press, etc. Groove for V-packing (No.2630, 2631) can be used as it is. 2650 Synthetic Rubber Oil Seal Seal with synthetic-rubber seal lip, and with metal reinforcing ring attached to the periphery Used as rotating shaft seal for water, oil, gasoline, alcohol, etc. 27000 FR Sheet Laminated sheet of PTFE and synthetic rubber Used for condenser etc. Can also be used as slider because of the low-adhesion and sliding properties that PTFE has and cushioning properties that rubber has.